Pompano Beach Fl. 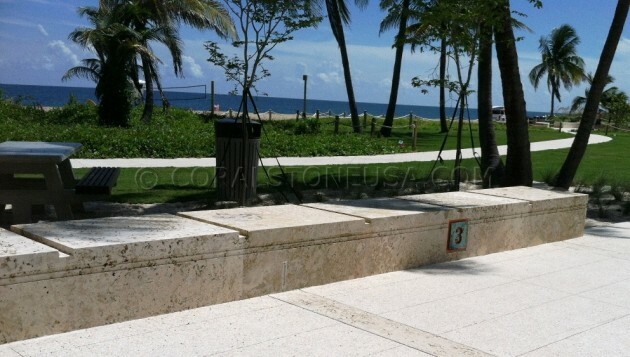 Coral stone outdoor benches. Solid coral blocks.